Robin is a shelter coordinated system designed for urban spaces, parking areas and mall outdoor spaces. Made by steel tubular and plates, with a thin steel cover “recalling” a curtain. 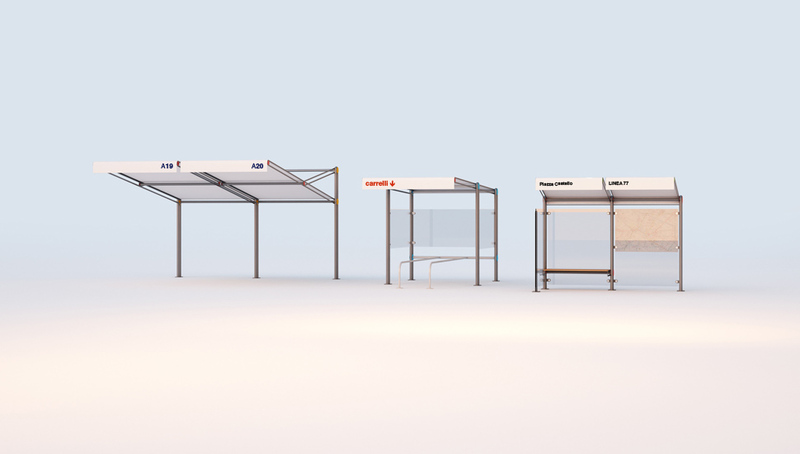 The system includes a bus shelter, a car cover and a shelter for shoppig carts.